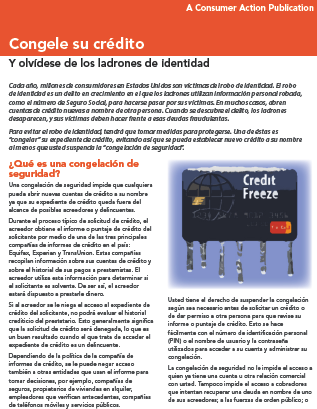 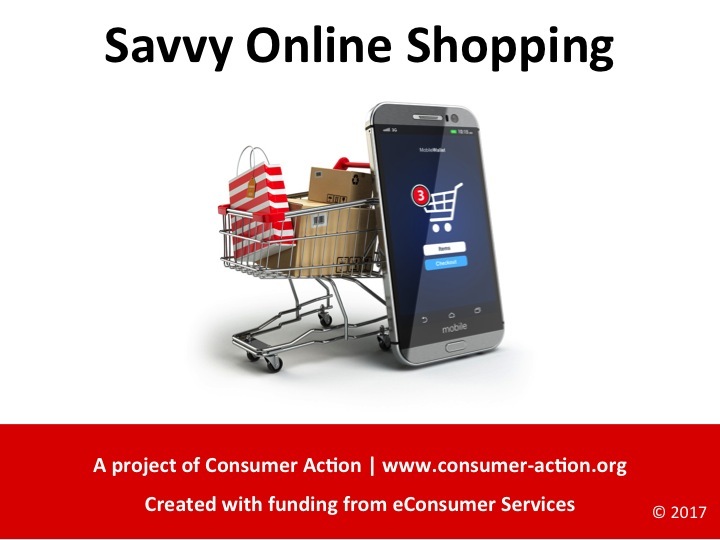 Savvy Online Shopping - PowerPoint Slides. 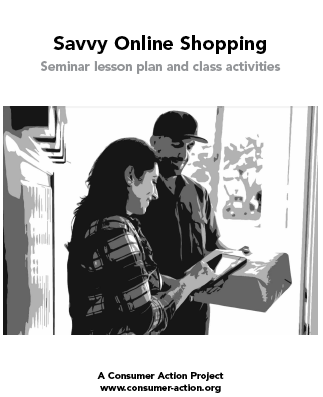 Savvy Online Shopping - Seminar Lesson Plan and Class Activities. 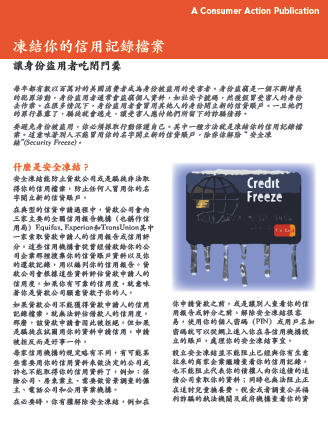 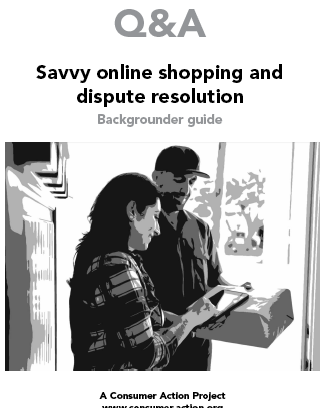 Questions and Answers about Savvy Online Shopping and Dispute Resolution. 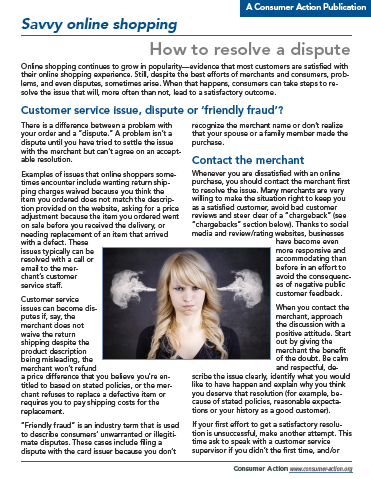 Savvy Online Shopping: How to resolve a dispute. 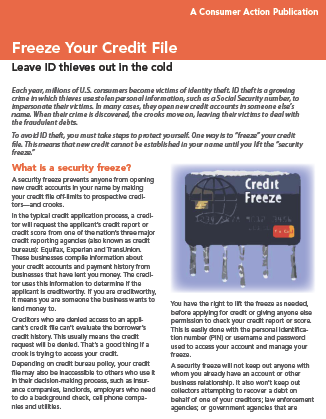 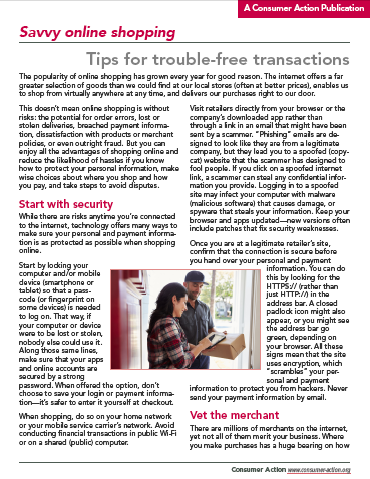 Savvy Online Shopping: Tips for trouble-free transactions.